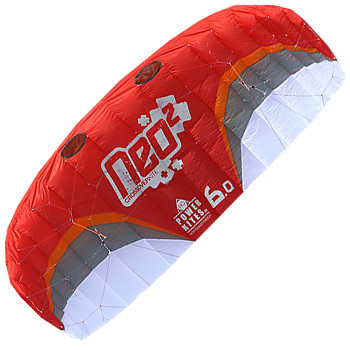 In cooperation with Tom Bourdeau, former Ozone traction and de-power kite designer, HQ-Powerkites.de is unveiling a true crossover kite, the NEO. Using an innovative closed cell foil and bridle system, the NEO can be ridden on land, snow and water. 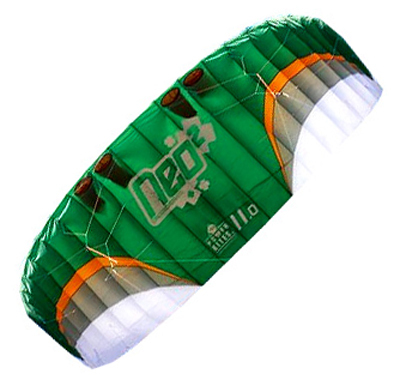 Launching the NEO is easy and the stability and de-power is outstanding in its class. 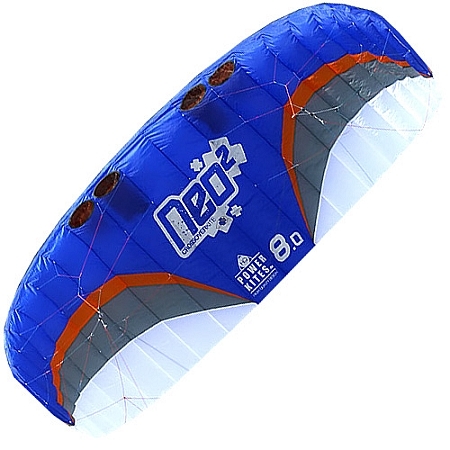 It doesn't matter if you're free styling or cruising, the HQ Powerkites NEO will surpass your expectations. About Closed Cell Foil Kites: These kites are similar to foil kites, both have cells that fill up with air. Regular foil kites can only be used on land because the cells are open and when the kite falls the cells deflate. When this happens on water the cells on the regular foil kite fill up with water and it is impossible to re-launch. The beauty if these new closed cell kites are that once the cells fill up they close themselves off briefly holding the air in the cell. 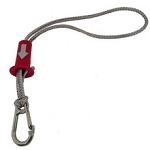 This allows the kiter to re-launch the kite and use these kites on water. Click on the picture gallery above to see all the pictures of the closed cell system.